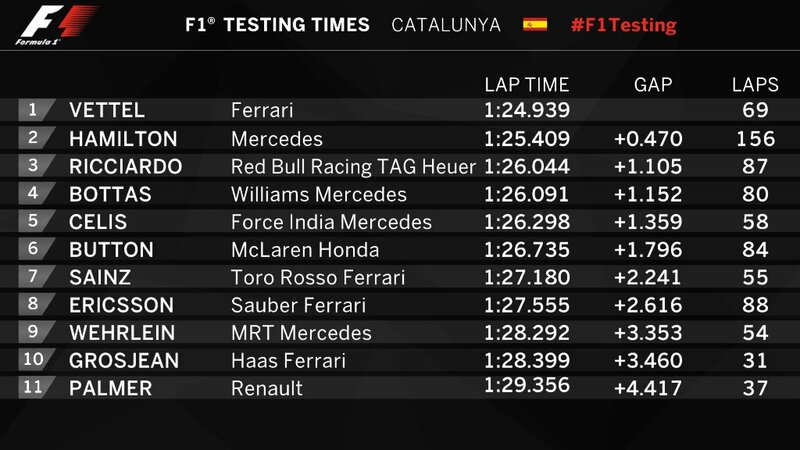 First day of the 2016 F1 tests in Barcelona, the headline is Vettel was fastest but the truth is Mercedes turned twice as many laps, 156, as the rest of the field. Granted, the W07 is an evolution of last year's car and changes will have been the least of any team, but keep in mind that over the past two seasons Mercedes was not just the fastest but also the most reliable. 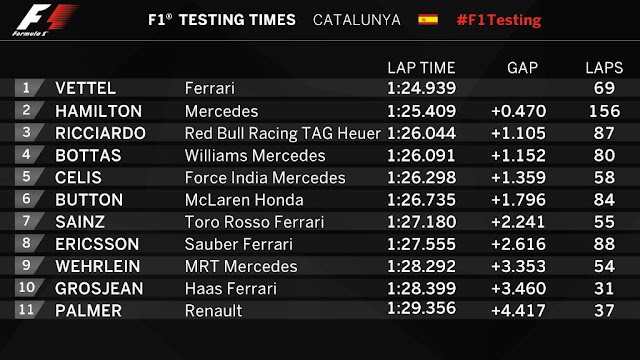 Ferrari powered teams had the least number of laps although Haas was held back by a front wing failure. McLaren and Renault seem to be in the in the weeds with McLaren running a frankenstein motor based on their early 2015 unit. Is the sound better with the new, more open exhausts? I would say it's an improvement, less whizzy and more rumbling. Check out some more random clips below.